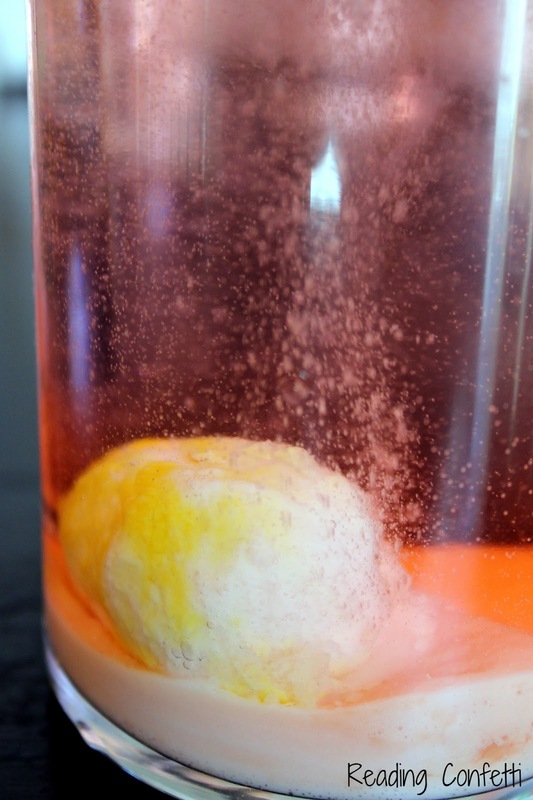 Since our dissolving rocks were such a hit, I decided to do an Easter version. 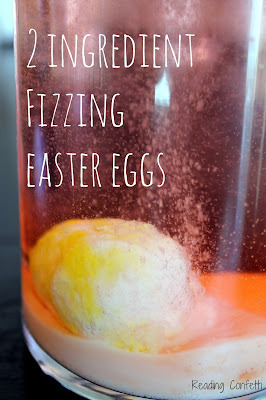 I used the same "recipe" to make fizzing eggs. I mixed baking soda with enough water so the dough held its shape. I also added food coloring. 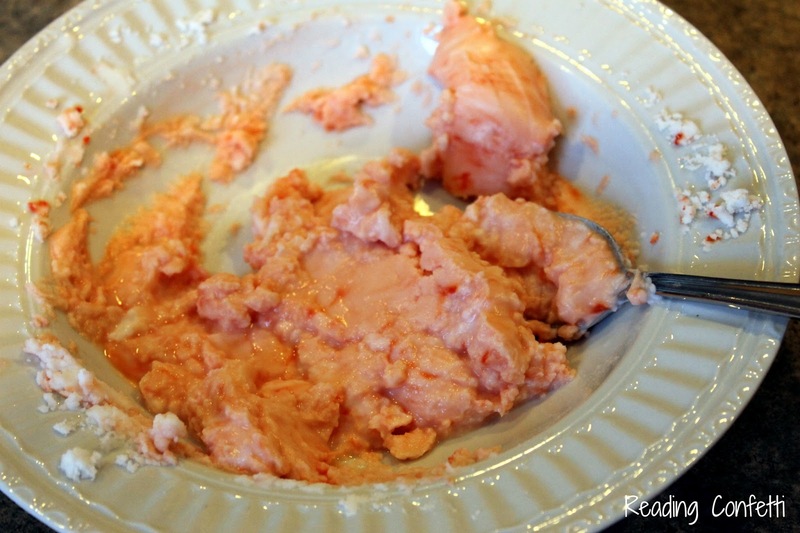 Just as appetizing as everything else that comes from my kitchen. I originally planned on putting coins inside the eggs, but I found a package of small Easter erasers to use instead. Since I'm trying to get my four year old more interested in letters, I also included a foam letter that corresponded with the initial sound. To make the egg shapes, I molded the mixture around the erasers and letters and formed them with my hands. Last time we did this I let them dry overnight, but this time I put them in the oven at a very low temperature to speed up the drying time. 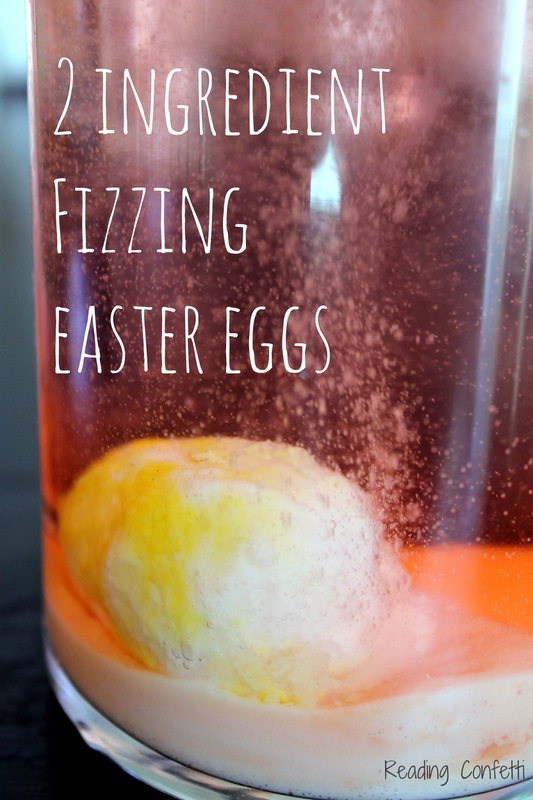 When we dropped the eggs into a vinegar and water mixture, they fizzed like crazy and the kids loved finding the surprises inside. The Golden Egg Book by Margaret Wise Brown would pair nicely with this activity. A little bunny finds an egg and tries to figure out what's inside. When the egg hatches, the lonely bunny finds a new friend. Totally cool! I love how you put the letters inside! I am absolutely doing this this week! Thanks for sharing!!! What a fun idea ... I pinned it! My kids would just love that. What a fun idea! I know my son would looooove this, so we'll have to try it later this week. :) Thanks so much for linking up with Stress-Free Sunday! This looks like so much fun! 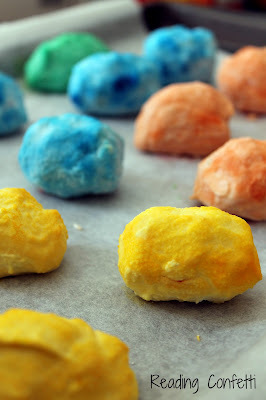 I'm going to do it with my kids this weekend! I know they will love it. 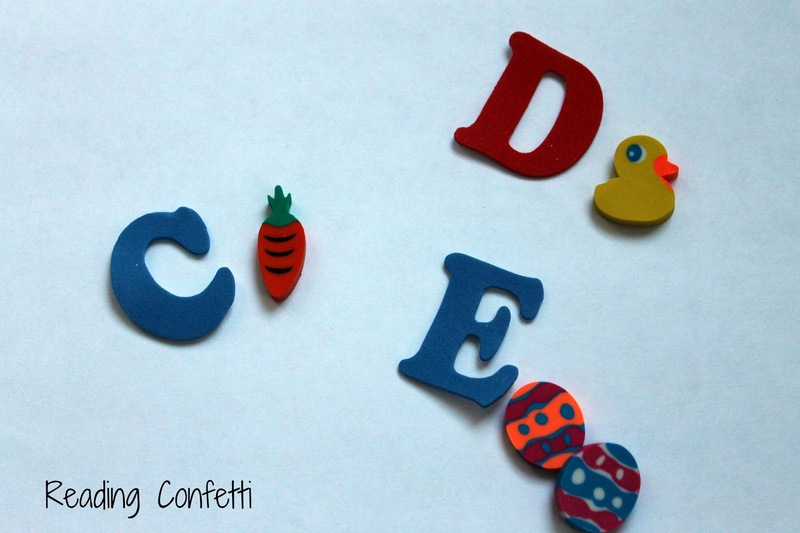 Fun, science, alphabets and Easter, all in one place!! This is awesome! We love fizzing anything!! I'm sharing this on my PreschoolPowolPackets Facebook page too! I adore these, and I know my kiddo will too. It's on our to-do list for tomorrow. :) I'm featuring these at Stress-Free Sunday this weekend. Thank you!